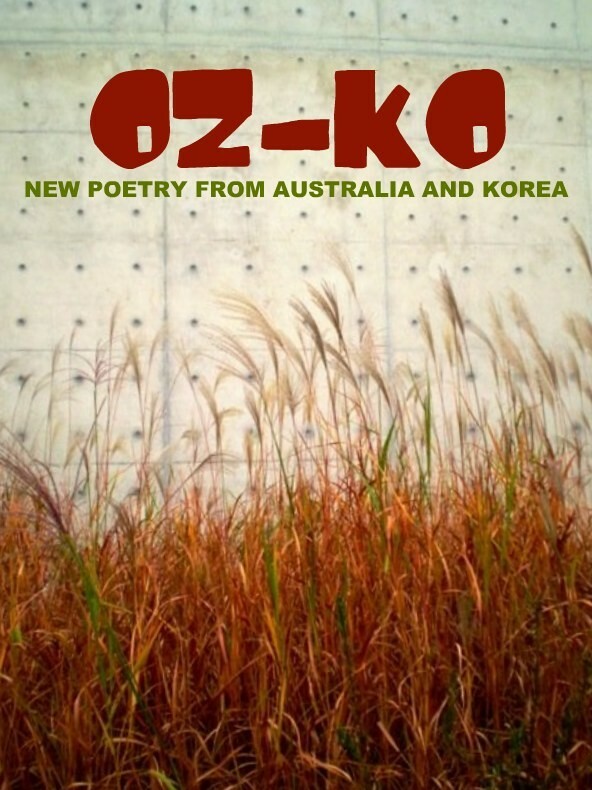 As is the current ambitious issue 35: Oz-Ko. Involving feature articles, interviews and translations of Australian poetry in Hangul, and (soon) Korean poetry into English. It's huge: and has involved support from government funding body Asialink, which sponsors cultural exchange between Australian and Asia. Australian poets visited Korea as part of the project and Korean poets will be in Melbourne next month. Sound effects continue: 'It drips five/ six. Again, I taste rust wake nicotine' and 'Rare fish skit, arc.' The only line that seems to lack sounding is the title - which is also the final line. It has nothing to sound with except itself. The final line refers back to the title, wrapping the poem in a rubber. The poem is itself; it needs no progeny.